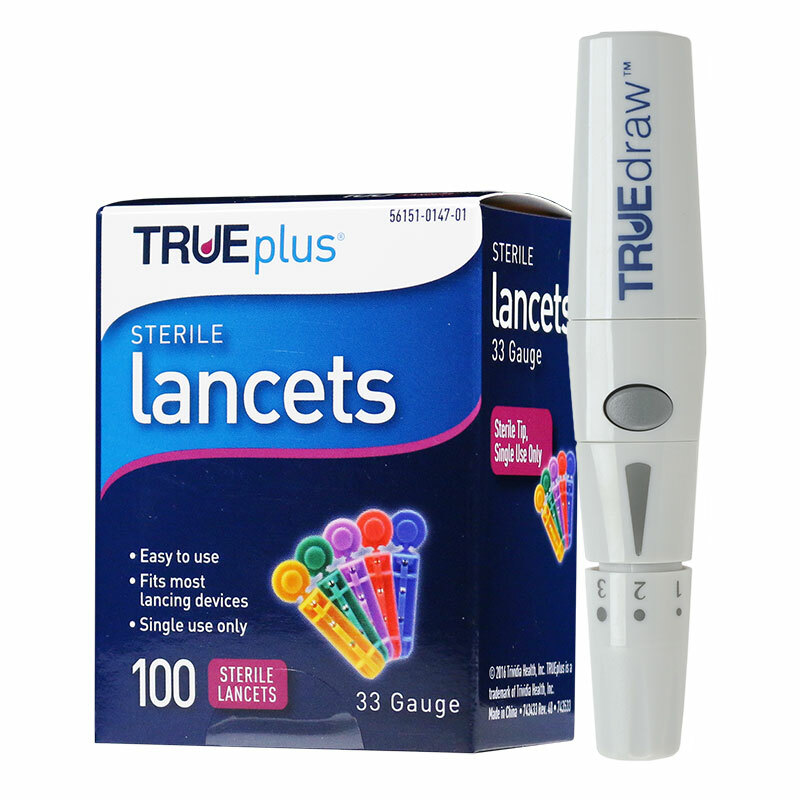 Buy TruePlus Lancets and Lancing Device at affordable prices. TRUEplus Universal Twist Top 33 Gauge Lancets Box of 100 with lancing device offers you an affordable and high quality lancing experience. With over 25 years of experience, Nipro diagnostics has been a world leader in providing medical products to help people with diabetes manage their disease and enjoy life. For your convenience, these TRUEplus™ single-use sterile lancets fit most lancing devices. For your comfort, these lancets deliver smooth skin penetration. Product worked as described. i purchased the applicator also and use setting # 3. Limited use, but less pain due to size of lancet. I have soft, thin skin so most lancing devices hurt me. I used to use the OneTouch 33G with its lancing device but it became too expensive for me so I tried this one. It is so much cheaper and it hurts way less. I only have to go up to level 2 to get more than enough blood for the sample and it seems to go faster and hurt A LOT less. That's very much appreciated. The lancets work well and it's all easy to deal with. I hope they never stop making these because I like them. I was concerned that this wouldn't work with the lancets I already had but it works just fine. No problems so far but I've only used it for one week. 33 ga lancets are SO much more comfortable than the 28 ga lancets I had been using, and I get an adequate sample as well. Not going back! The lancing device works as you'd expect.